LLP or Limited Liability Partnership is a corporate entity formed under the Limited Liability Partnership Act, 2008. LLPs have a separate legal identity from that of its partner like a company. Also, LLP is the only type of partnership that offers limited liability protection for the partners and one partner is not responsible or liable for another partner’s misconduct or negligence. As LLPs are a separate legal entity, an LLP must file income tax returns each year. For the purpose of Income Tax, LLPs are treated the same as partnership firms and Income Tax on LLPs is also levied in the same manner as partnership firms. 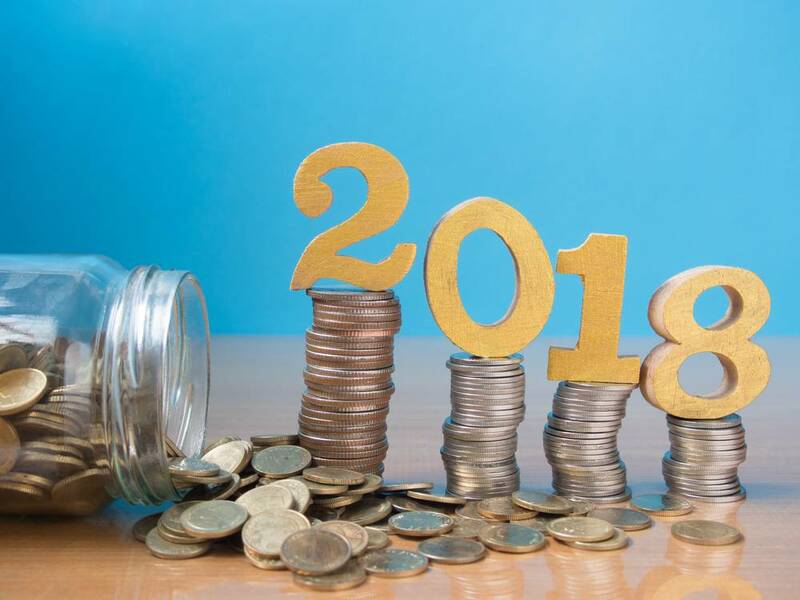 In this article, we look at LLP tax filing in detail along with Income Tax Rate for LLP and procedure for Income Tax filing for LLP. The income tax rate applicable for LLP registered in India is a flat 30% on the total income. In addition to the income tax, a surcharge is levied on the income tax payable at the rate of 12% when the total income exceeds Rs.1 crore. In addition to income tax a 4% Health & Education surcharge is also applicable on the income of a LLP. Health and Education cess of 4% is applicable on the amount of income tax and the applicable surcharge. The deadline for LLP tax filing in India is July 31st if tax audit is not required. LLP whose turnover exceeded Rs. 40 Lakh or whose contribution exceeded Rs. 25 Lakh are required to get their accounts audited by a practising Chartered Accountant. The deadline for tax filing for LLP required to obtain audit is September 30th. LLPs that entered into an international transaction with associated enterprises or undertook certain Specified Domestic Transactions are required to file Form 3CEB. Form 3CEB must be certified by a Chartered Accountant. LLPs required to file Form 3CEB have 3oth November as the deadline for LLP tax filing. 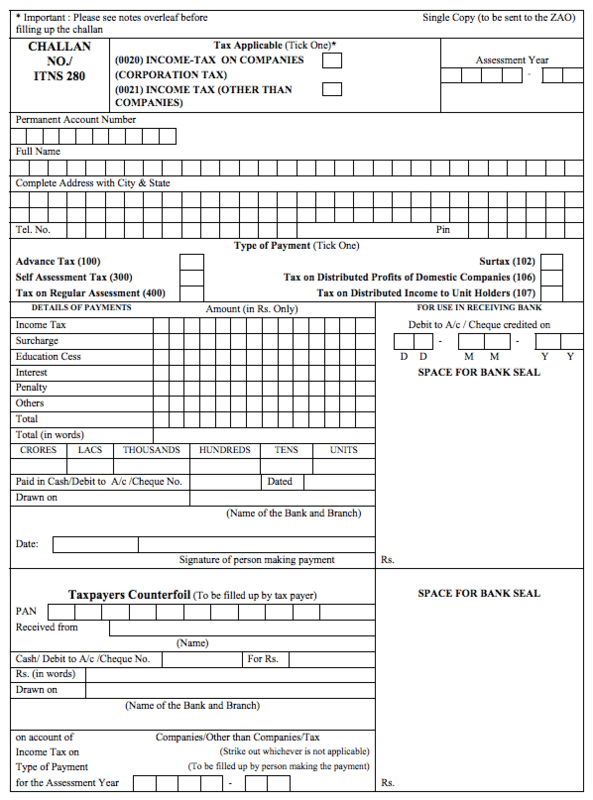 LLPs must file income tax return using Form ITR 5. Form ITR 5 can be filed online through the income tax website using the digital signature of the designated partner. After filing LLP tax return, it is advisable for the taxpayer to print two copies of Form ITR-V. One copy of ITR-V, signed by the assessee should be sent by ordinary post to Post Bag No. 1, Electronic City Office, Bengaluru–560100 (Karnataka). The other copy can be retained by the assessee for his record. LLP tax payment can be made in physical mode through designated banks or through e-payment mode. LLPs that are required to get its accounts audited are required to pay tax through e-payment mode only. To pay tax at designated banks, Challan ITNS 280 as provided below must be provided with the tax payment.